For the past 100 years Premillennialism has gained a wide acceptance in the Protestant world in general and evangelicals specifically. Some trace the growing belief to the publishing of Scofield Reference Bible in 1909. While there are many different millennial theories, the fundamental belief is that Jesus will return to earth after a period of tribulation, followed by Christ’s literal 1,000 year reign during which he will establish his Kingdom. These ideas of have been advocated by Hal Lindsey in his best selling 1970’s book The Late, Great Planet Earth. And in more recent years by the popular Left Behind series by Tim LaHaye and Jerry Jenkins, who published 16 books between 1996 and 2007. This morning as I was looking over Acts 1, Luke records this regarding Jesus. “To them he presented himself alive after his suffering by many proofs, appearing to them during forty days and speaking about the kingdom of God” (v.3). Why would Jesus be talking about the Kingdom? Consider this background. The Kingdom had been prophesied by Daniel that “the God of heaven will set up a kingdom which shall never be destroyed.” Only a cursory knowledge of history reveals the time frame as being during the days of Roman rule (Dan. 2:36-45). When the forerunner John began his preaching pointing to Jesus as “the Lamb of God,” he proclaimed, “Repent, for the kingdom of heaven is at hand.” (Matt 3:2). Jesus’ initial message was exactly the same (Matt 4:17). The biographers of Jesus record Him speaking of the coming Kingdom over 100 times. Both Matthew and Mark write that “Jesus went about all Galilee, teaching in their synagogues, preaching the gospel of the kingdom” (Mt 4:23; Mk 1;14). Was Jesus preaching about a Kingdom that would not come for over 2,000 years? That’s why Jesus was talking to the disciples about the Kingdom during those 40 days. It was coming. And would come with the power of the Holy Spirit on the day of Pentecost. The book of Acts records the apostles and preachers “preaching the kingdom of God (Ax 8:12; 14:22;19:8;20:25; 28:23). To the Colossian Christians Paul penned, “He has delivered us from the power of darkness and conveyed us into the kingdom of the Son of His love, in whom we have redemption through His blood, the forgiveness of sins” (Col. 1:13-14). The Kingdom is just another description of the church that Jesus promised to build (Matt 16:18-19). He’s the King of His Kingdom. Right now. 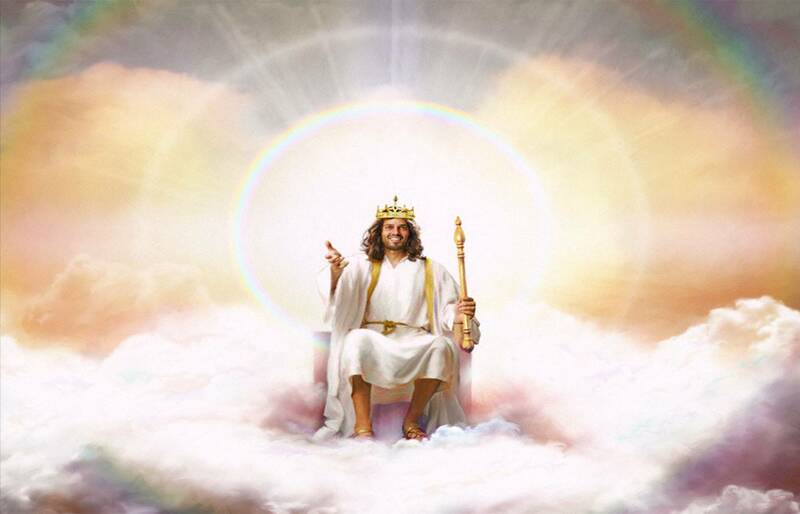 “The King of kings and the Lord of lords (1 Tim. 6:15). The beauty of this analogy is appreciated when we realize that we’re citizens of Christ’s kingdom. We have access to the privileges and prerogatives that accompany citizenship. We enjoy fellowship with a community of like minded citizens. We can approach our King with requests at any time. He provides for us protection and offers us all the spiritual provisions we need. Pardon from our sins. Peace of mind. The power to withstand Satan’s schemes. Purpose for living. And most of all the promise of a paradise home in heaven. These and much more are the blessings of Kingdom citizenship.